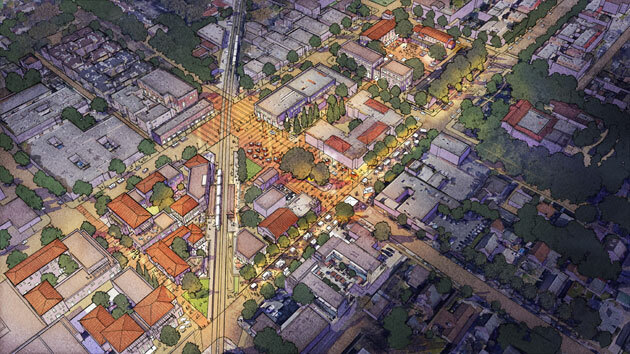 This plan creates a long-term vision for the historic downtown area of South Pasadena, focusing on two streets, Mission Street and Fair Oaks Avenue, and the existing Gold Line light rail station. The area around the station is enhanced as a public plaza for gatherings and a farmers’ market. 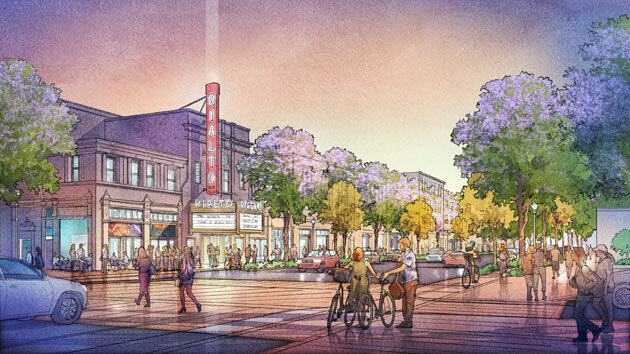 Mission Street is envisioned as a low-intensity retail destination, building on its historic main street character. The Plan allows for infilling the remaining developable land along Mission Street with mixed-use buildings and, with the addition of streetscape and parklets, augments the quality of its sidewalks. 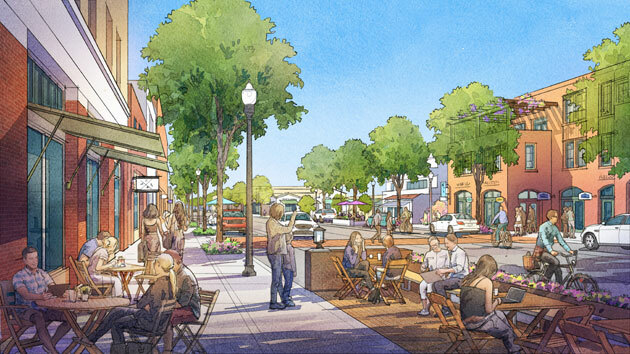 Fair Oaks is designed as a mid-density avenue, framed with a double row of street trees. Existing alleys are enhanced with paving, lighting and landscape to create a parallel pedestrian network through South Pasadena’s downtown. 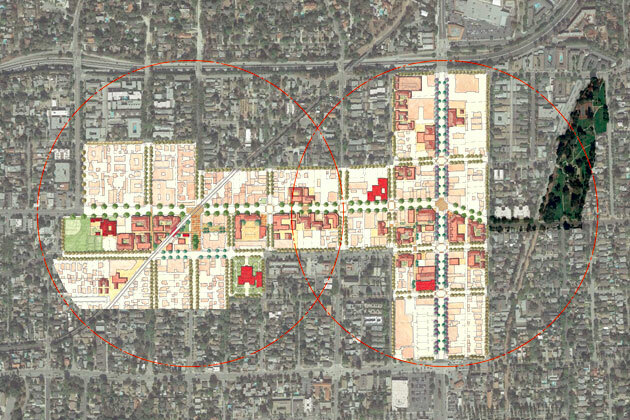 The mixed-use buildings that are proposed here are larger and appropriate to the street's character. Parking for the non-residential uses within the downtown is consolidated in lots and garages within private developments to encourage a 24/7 pedestrian-friendly environment.